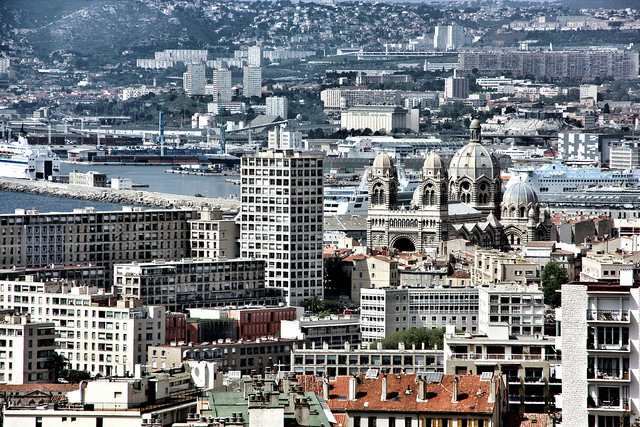 Marseille is the second largest city on France. It’s located on the Mediterranean sea and has a natural harbor area that made it a great spot for trading centuries ago. It remains a popular spot for fishing today, and an overall tranquility that you don’t see in a lot of towns with both traditional architecture and new modern design aesthetics. Marseille is not anywhere as nice as cities like Paris for example, and it has gotten a reputation for being unsafe, but that it is not necessarily accurate. Part of its charm comes from the fact that it’s authentic and that you can see where the history remains. There might be more crumbling buildings and graffiti than other towns in France, but it also has a significant amount of character and a lot of vibrant life. A lot of people are drawn to theMediterranean area for its classic bright beauty, but Marseille is interesting because it shows visitors a little more of the true culture that fills out so much of the area. Many say that the locals are incredibly welcoming, more so than in other areas of France even. Marseille is known for a couple different food dishes. One is pizza. The city has long standing ties with Naples and apparently over the years the Italians have been coming over and making their famed pizza. Pizza is so popular there, that there is wood fired pizza being cooked all over the place, in restaurants and also on the street corners at vendors. The local specialties are half cheese half anchovy, and liver sausage. The other dish the area is known for is bouillabaisse. The fish soup is so attached to the area in fact, that many people think its can’t be replicated outside of the town. There is debate out to the origins of the dish, whether it was a classy meal or a soup from the fisherman’s leftovers, but today it is a nice option. Some places require it be ordered 24 hours in advance however, since the fish in it is rare. If you’re staying in Marseille it’s also easy to take day trips from the central location. It’s only 45 minutes from Côte d’Azur, 30 minutes from Provence, and even closer to Cassis and all its glorious beaches. When you’re exploring in Marseille, be sure to check out some of the old architecture and museums. The Vieille Charité for example was once in the 17th century a charitable place where beggars who needed caring for could go and stay, then was a barracks for the French foreign Legion, and today it is a cultural center and a museum. (Talk about history!) The chapel in the courtyard was designed by Pierre Puget and its Museum of Archaeology and Museum of art of Africa are considered very important ones. The area is also home to Fort Saint-Jean, which is a water fortress that was ordered to be built by King Louis XIV. Much of it was destroyed during WWII, but has been restored.